Hospitality managers may not have regular face-to-face time with customers, but their role in ensuring excellent customer service is critical. Providing world-class customer service is essential to the success of a hospitality business. Customer service begins with the standards set by a qualified hospitality manager and filters through the ranks to front of house and customer-facing staff. Modelling behaviour by example is the best way to positively impact on an organisation. In today's digitally connected world, customers are more informed than ever. As a result, all food or accommodation venues must become increasingly competitive to win business. Customers have higher expectations and it's easier than ever for customers to find an alternative if they feel unsatisfied. Delivering a high quality customer experience is a crucial part of this competition. When customers feel valued, they're more likely to return and recommend your restaurant or hotel to their friends and social media followers. Meanwhile, negative experiences are very likely to have repercussions online, with 52 per cent of complaints on social media resulting from poor service, according to Corra. Nielsen says 92 per cent of customers will believe the word of their friends and family over traditional advertising, so positive word-of-mouth is critical to success. Great customer service is the foundation of success and begins with a qualified, professional hospitality manager. A hospitality business thrives when staff genuinely want to help the customers. This is called a culture of service, and it's something that must be grown organically from the top-down. Therefore, it's a core responsibility of hospitality managers to work towards the goal of creating a service culture. Thorough training of front of house staff. Compassionate management of staff - making your people feel valued, so they value your customers. Understanding how to deliver world-class customer service and upholding the highest standard with your customers and your employees is essential if you hope to succeed as a hospitality manager. 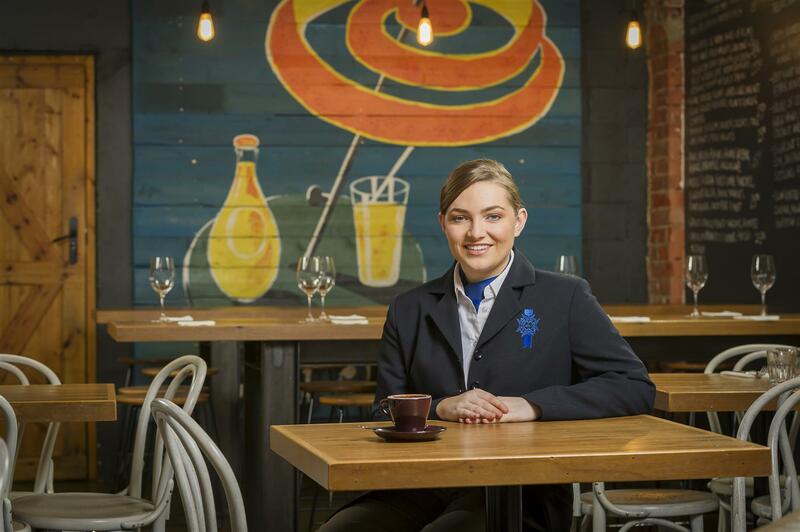 Forming a culture of customer service begins with learned skills, workplace experience and critical reflection available to students in Le Cordon Bleu's hospitality management programs. Our Work-Integrated Learning programme encourages competencies gained in the classroom to be applied in a workplace, acting as a bridge between your study and your future career. Contact Le Cordon Bleu today to find out how to become a qualified hospitality manager with an internationally recognised qualification.